Vincent van Gogh self-portrait, 1887 Paris. Photo Credit: © Edwin Lerner. 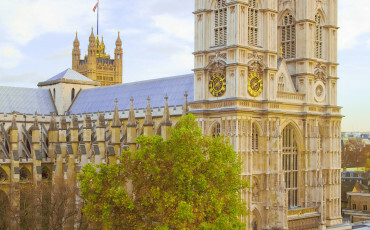 What is perhaps less well known is that Vincent van Gogh spent two years in London during his early 20s before starting his career as a painter. 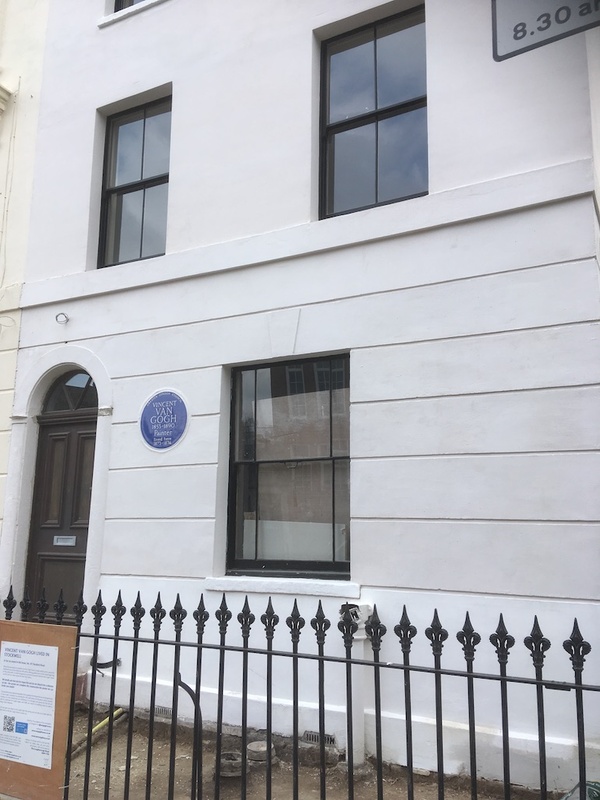 He lived at 87 Hackford Road, Stockwell, between 1873 and 1875 and worked as an art dealer. He was actually earning more money than his father, who was a priest in Holland. One of Van Gogh’s earliest drawings, discovered recently, is a small sketch of his London home. It remains in the possession of the family who owned the house. 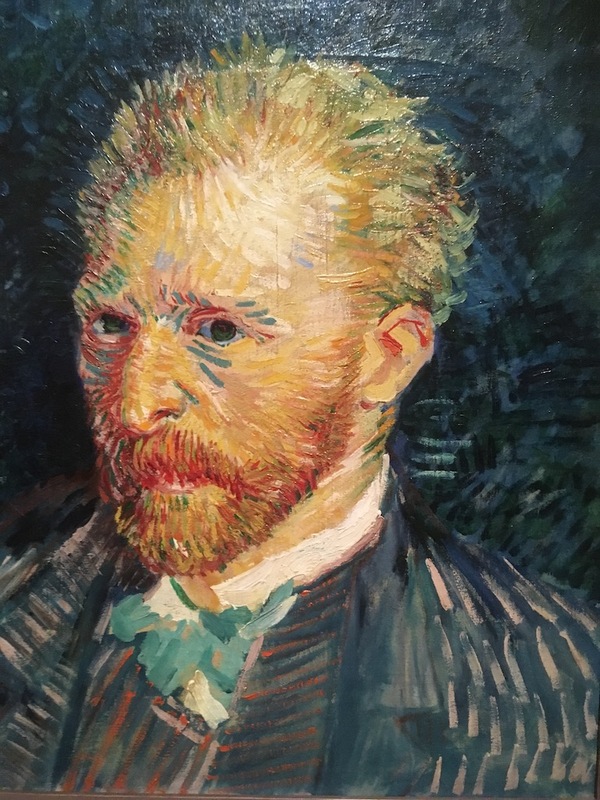 Vincent van Gogh spoke four languages fluently – Dutch, French, German and English – and was happy and settled whilst living in London, but it wasn’t to last. After falling in love with both his landlady and her daughter and being rejected by both women, he left England for Paris, where he lost his job at the art dealers Goupil and began his long descent into instability and madness. Van Gogh came back to England and tried teaching, and then returned to Holland and became a priest for a time. It was Vincent’s beloved brother Theo who suggested he take up painting. He then finally found a vocation – if not a living. Van Gogh produced most of his famous paintings during an astonishingly productive period at the end of his short life (he died at age 37). He was living in the French town of Arles, where the local people called him “le fou roux” (the red-headed madman). He drank too much and was in and out of an asylum. 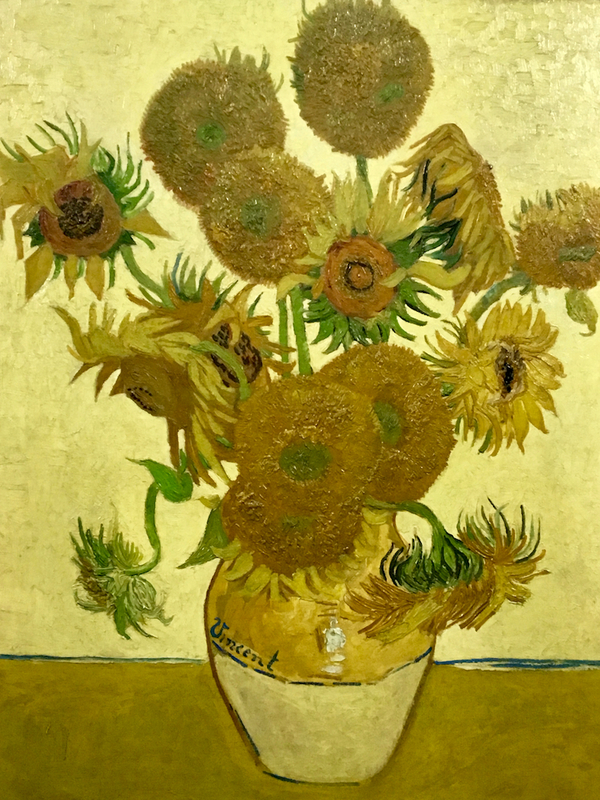 Yet it was here that Van Gogh created works such as Sunflowers and Starry Night, which are recognised worldwide and have commanded huge sums in the art market. Vincent van Gogh sun flower painting. Photo Credit: © Ursula Petula Barzey. Many of these paintings have been brought together at London’s Tate Britain museum for the Van Gogh and Britain exhibition, which runs until August 11 and is the largest display of his works in the U.K. for nearly a decade. The show also includes paintings by artists whom Van Gogh influenced, such as Francis Bacon, whose three powerful portraits of Van Gogh walking through the countryside feature at the end of the display. There’s also a sketch of Vincent and Theo by the French Impressionist Lucien Pissarro, believed to be the only one of the two brothers together. Vincent van Gogh has also been the subject of biographies and films. The Tate Britain exhibition includes scenes from Lust for Life, starring Kirk Douglas as Van Gogh and Anthony Quinn as Paul Gauguin, the French artist Van Gogh befriended and worked with until the two powerful personalities fell out. In the 2018 film At Eternity’s Gate, Vincent van Gogh is played by another American actor, Willem Dafoe, with Oscar Isaac as Gauguin. The film supports the unproven theory that Van Gogh was killed by local boys rather than by his own hand. Whatever the cause of his death, Van Gogh lived life too intensely to survive into old age. His brother Theo, his most loyal friend and supporter, outlived him by only six months, and the two are buried next to each other in France. 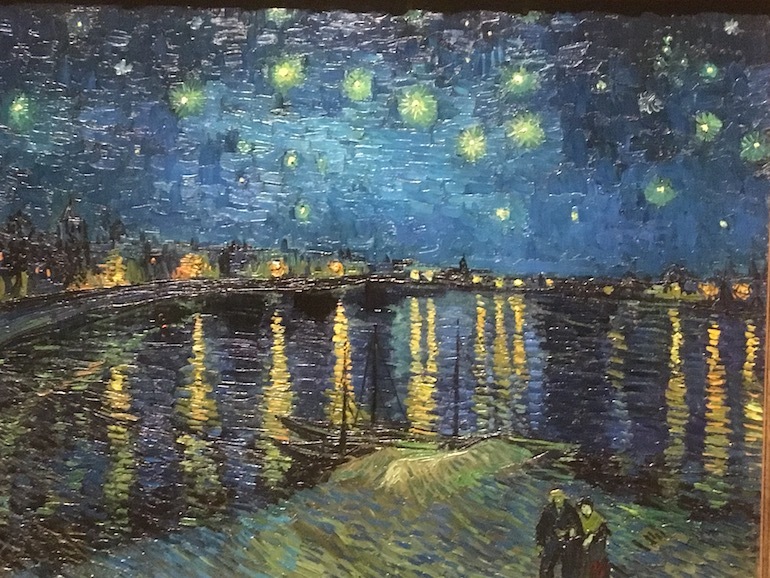 Vincent van Gogh Starry Night Over the Rhone painting. Photo Credit: © Edwin Lerner. 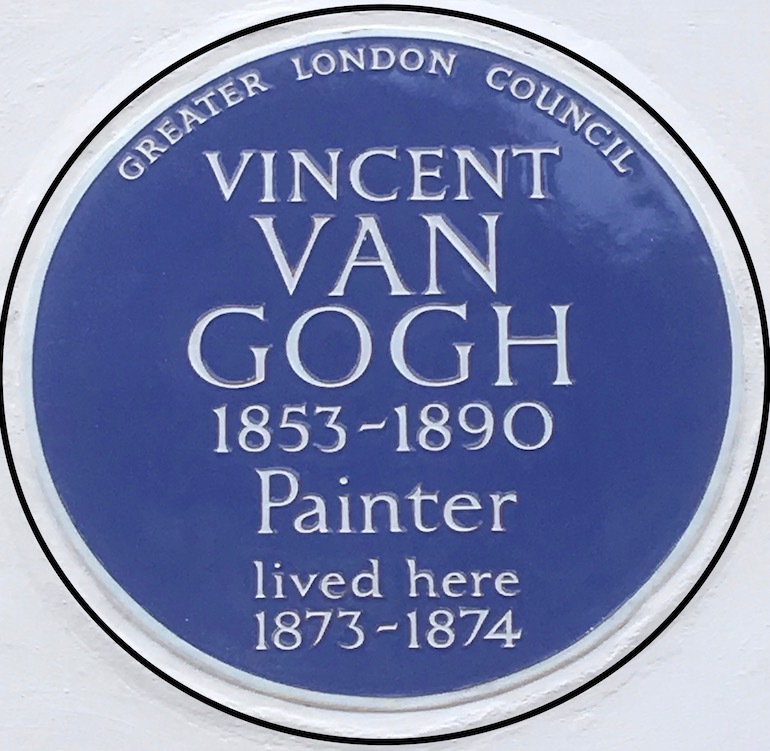 Vincent van Gogh blue plaque. Photo Credit: © Edwin Lerner. Vincent van Gogh house in London. Photo Credit: © Edwin Lerner. 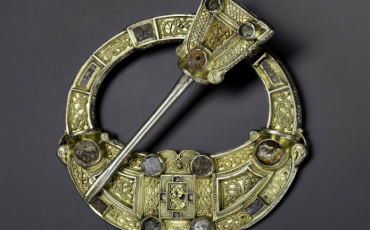 This autumn the British Museum, in partnership with National Museums Scotland, will stage the first British exhibition in 40 years on the Celts. 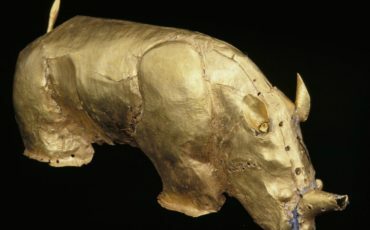 Celts: Art And Identity opens at the British Museum on 24 September and will draw on the latest research from Britain, Ireland and Western Europe.